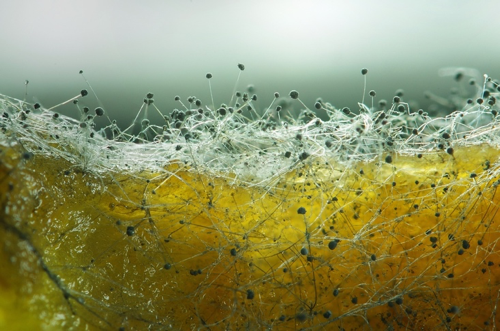 Humanity has an intimate relationship with fungi and microbes, yet it remains one of the more misunderstood biological kingdoms. Mould is in our homes, in the plants, the soil, and even in the air we breathe. When it comes to mould growth around the home, a lot of what we think we know about mould is nothing more than old wives’ tales and this lack of knowledge poses a threat to human health. In this article, we debunk some of the more common myths about mould. While it’s true that some forms of mould can cause health problems and allergic reactions, it affects people differently. Some moulds produce allergens which can elicit an allergic reaction from people who are sensitive to mould, as well as those with a compromised immune system. However, not all mould is bad, and bad mould does not affect everyone in the same way. If you see small mould blooms growing on your property, you need to have it inspected and treated. Mould structures are vast, and the coloured blooms you see appearing on your walls are indicative of a much larger growth that has established itself within the walls. While it’s true that certain types of mould can be handled with common household cleaners, proper mould remediation requires professional attention. The most a homeowner can do is wipe the surface clean of mould, but this doesn’t mean it has been killed or eradicated, and most commercially available cleaning agents just don’t have the power to manage a large scale problem. A professional clean-up involves identifying the cause, containing the mould spread, and thoroughly cleaning or removing the affected surfaces. While bleach can be used to remove mould on non porous surfaces, it generally isn’t recommended as a fungicide as bleach poses a health hazard to humans, and is also water based, so if it seeps into a porous surface, it is actually helping the mould to grow by providing moisture. Using a chemical to kill off mould is also a problem due to the way mould grows behind walls, and inside porous materials like wood and plaster. To eradicate mould, the source of the moisture which allowed it to grow in the first place also needs to be addressed. Alpha Environmental are established environmental consultants based in Melbourne. We are able to carry out professional mould inspections and implement highly effective remediation plans for homes and businesses. To learn more about our services, call 9415 8002.